I was talking with my good friend Ariel over at Whole Foods about New Year’s Eve, and how much fun it would be to toast with a champagne popsicle to ring in the new year. What a swell idea! 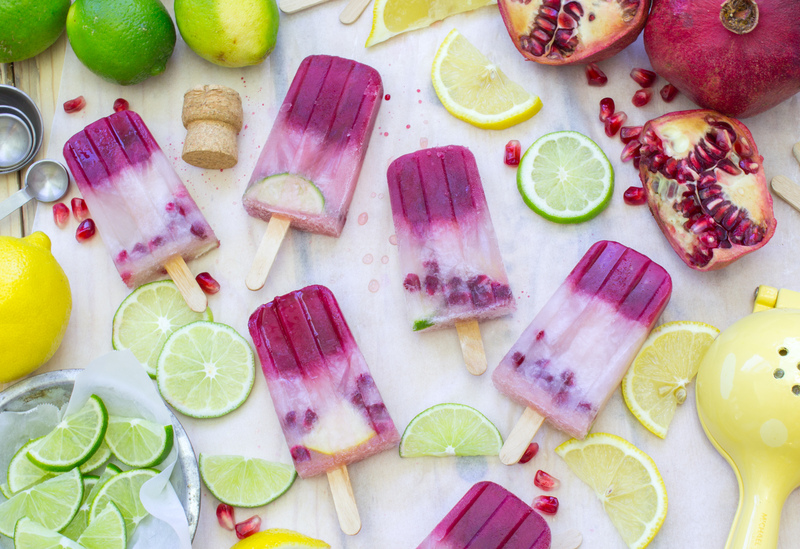 I been wanting to put a boozy spin on my now famous Pomegranate & Limeade Popsicle, and this seemed like the perfect opportunity. How gorgeous are these? 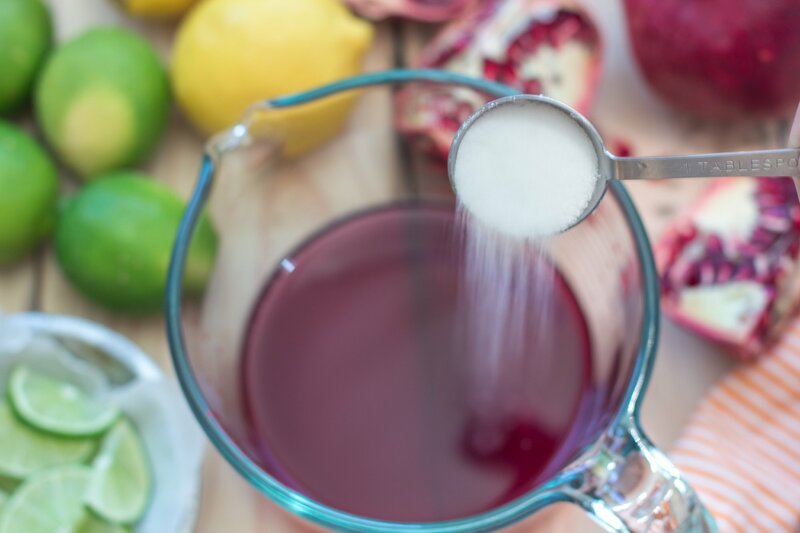 Using a liquid measuring cup, add 1 cup of fresh pomegranate juice and 2 tablespoons of sugar, then whisk until sugar is completely dissolved. 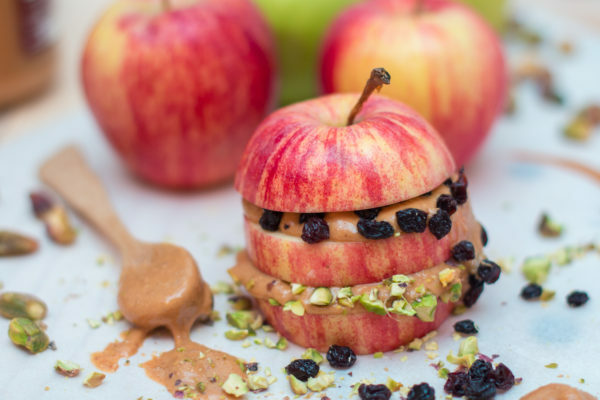 Divide the pomegranate syrup amongst the popsicle mold and add your popsicle sticks; freeze it for an hour. You can do less time or more. It just depends on how much of a visual divide you want between the pomegranate and champagne. Go ahead and halve both the remaining lime and lemon, then thinly slice them. Also, let's seed the pomegranate. 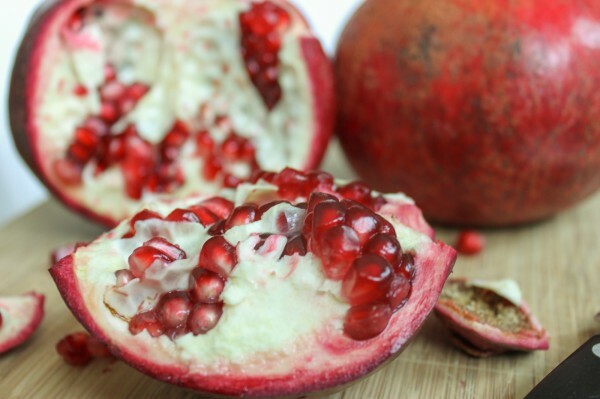 Watch my video on seeding pomegranates. This will save you a ton of time! 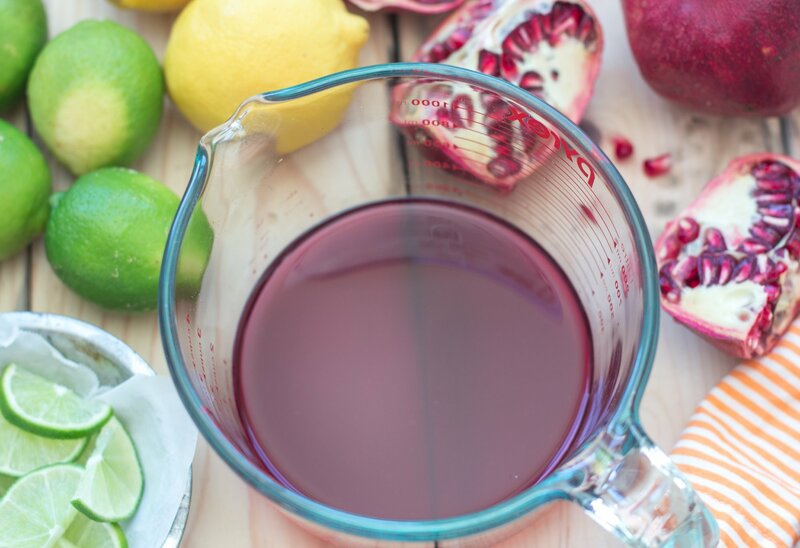 Using another liquid measuring cup, add the juice of 1 lime, the remaining sugar, and a splash of the champagne. Whisk the mixture together so that all of the sugar is dissolved. Now add enough champagne to measure out 1.5 cups. 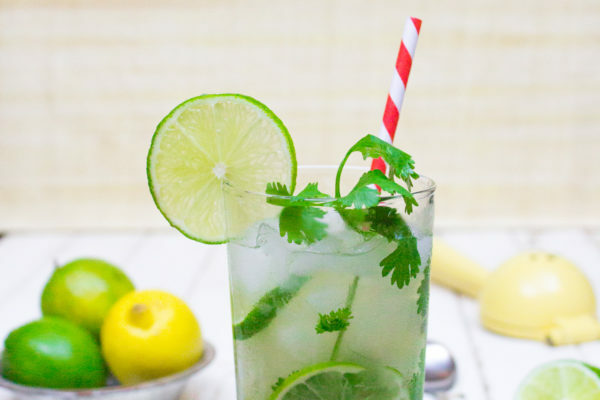 Give it a gentle stir to combine with the lime syrup. I used room temperature champagne so the pops will be more bubbly. 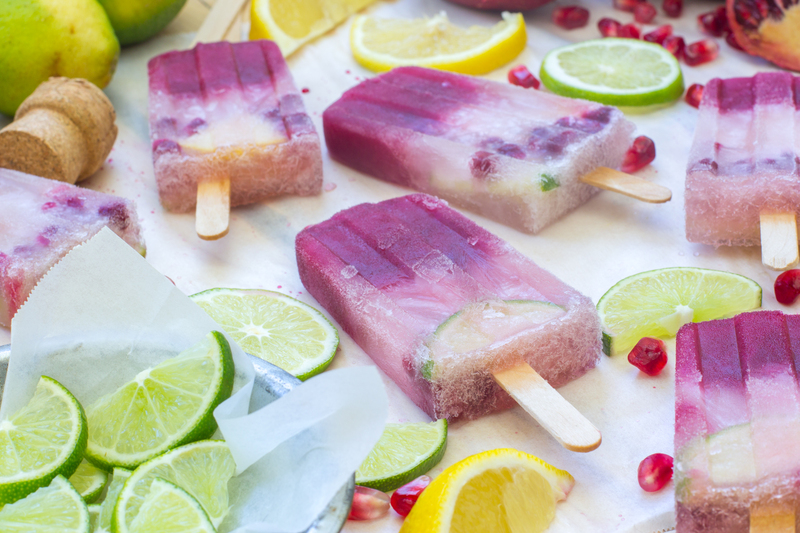 Remove the popsicle mold from the freezer and fill each individual mold with a few citrus slices and some pomegranate arils. Don't overfill it. Too much "stuff" and your popsicles will have no structure to them, and break easily. Now top off the molds with the champagne mixture and place them back in the freezer. Let the popsicles freeze for about 10 hours before serving.